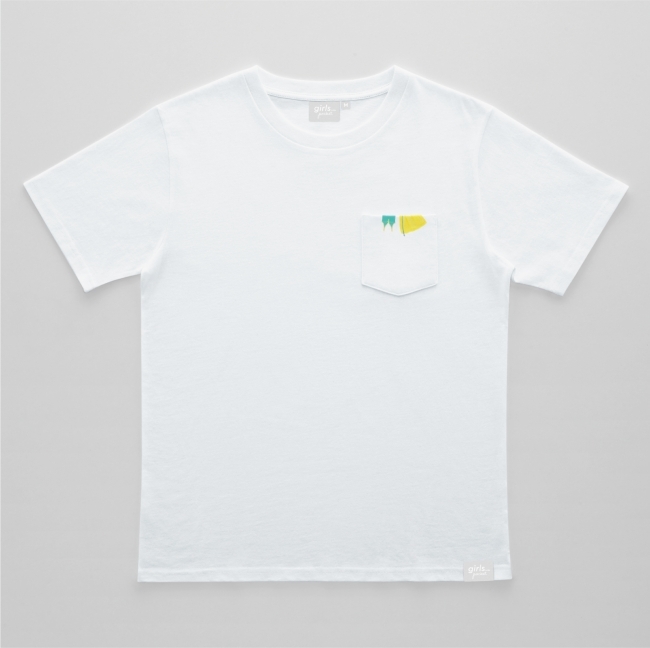 What’s in Your Pocket?—Pocket Idol T-Shirts Available at Village Vanguard! “Girls In the Pocket” was made by the capsule toy brand “Panda no Ana” and Vintage Vanguard’s collabrative brand “VILLEPAN.” Of course, there are many fan t-shirts displaying peoples’ favourite idols, singers and anime character, but there are also those kind of t-shirts out there which you can’t normally wear in public – those which are a little embarrassing to wear if you’re by yourself. 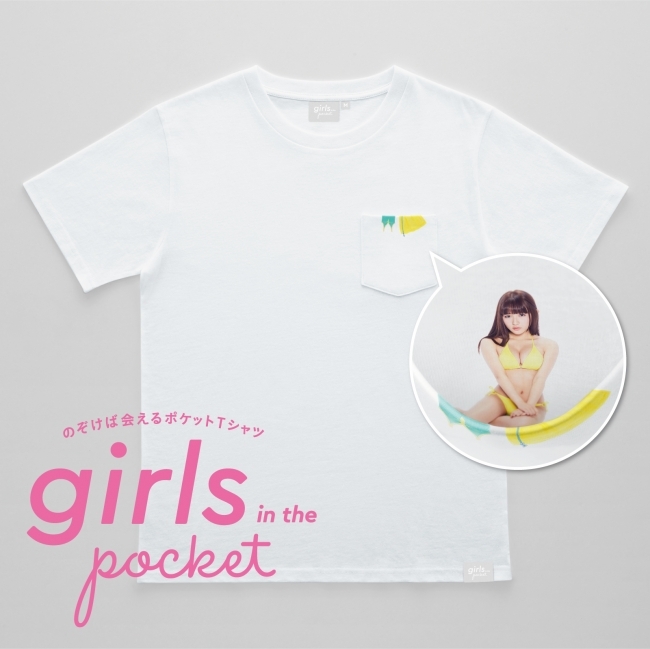 To combat that, “Girls In the Pocket” has been created, with original yet stylish designs which fans will be happy with. 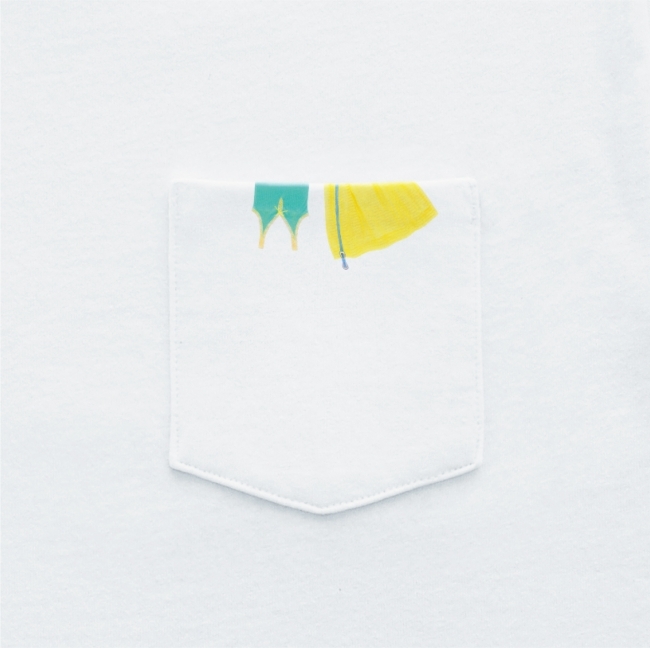 The pocket is seemingly standard, but if you open it up, your longed for idol will be inside! 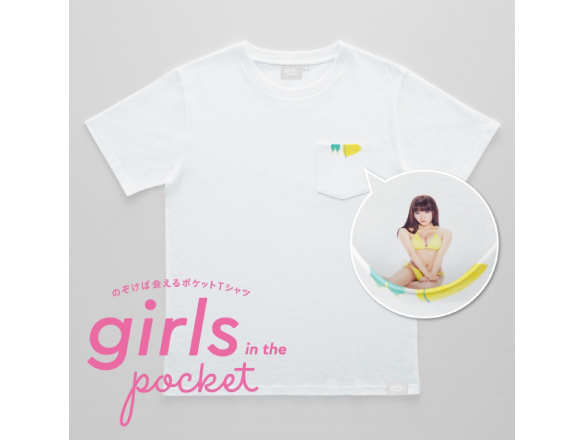 The first companion in this line of t-shirts is Nana Asakawa from the Japanese idol group SUPER☆GiRLS. As part of this first release, if you purchase a t-shirt, you will receive an A3-sized poster in the packaging completely free. A select few of the posters are also signed. Who will be the next in line to appear in your pocket? Make sure to keep an eye out! Related Article：Fruit-Scented Folding Fans Available This Summer on the Village Vanguard Online Store! Related Article：Pokémon Face Packs to Protect You From the Sun this Summer! Who will you choose?